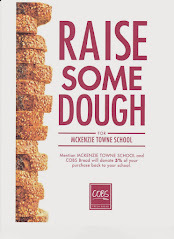 McKenzie Towne School Parent Association: David Thompson School Council Meeting at MTS - Wednesday at 6:30 p.m.
David Thompson School Council Meeting at MTS - Wednesday at 6:30 p.m.
David Thompson council/society meetings this week are at MTS. Wednesday night at 6:30. The 'key-note' speaker for the council portion is School Police Liaison Officer Matt, who will be coming to talk about what he wishes parents knew with kids moving to middle school and onto high school. There will also be a short Q & A time with him.